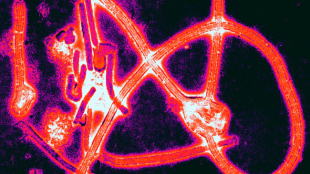 WIKIMEDIA, THOMAS GEISBERT, BOSTON UNIVERSITY SCHOOL OF MEDICINEThree separate research projects will test Ebola treatments among the human populations at the epicenter of the epidemic, according to the medical charity group Doctors Without Borders. The group announced today (November 13) that it will host the clinical trials, which are set to commence next month, at three separate sites in West Africa: in Liberia, and in Gueckedou and Conakry, two towns in Guinea. Researchers from the University of Oxford in the U.K. will test the effectiveness of Brincidofovir, an antiviral drug being developed by Chimerix of Durham, North Carolina, in Liberia. 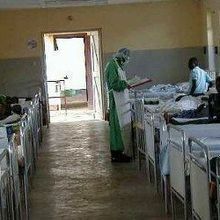 Ebola sufferers in Gueckedou, Guinea, will be given the Japanese antiviral Favipiravir as part of a study that will be overseen by France's National Institute of Health and Medical Research. 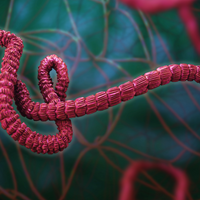 And researchers from the Antwerp Institute of Tropical Medicine will administer the blood of Ebola survivors to patients in Conakry, Guinea. 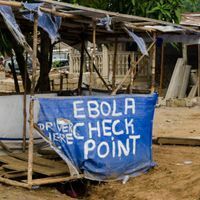 The trials will be challenging, not only because the Ebola epidemic continues to ravage West Africa—the disease has claimed more than 5,000 lives—but because health care systems in the worst hit countries are severely compromised. United Nations Ebola chief David Nabarro said he is hopeful that the trials will result in effective treatments for African patients. 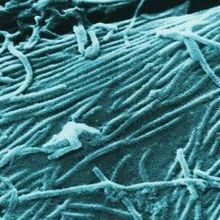 “I am told there will be doses of vaccines available next year,” he told the AP.